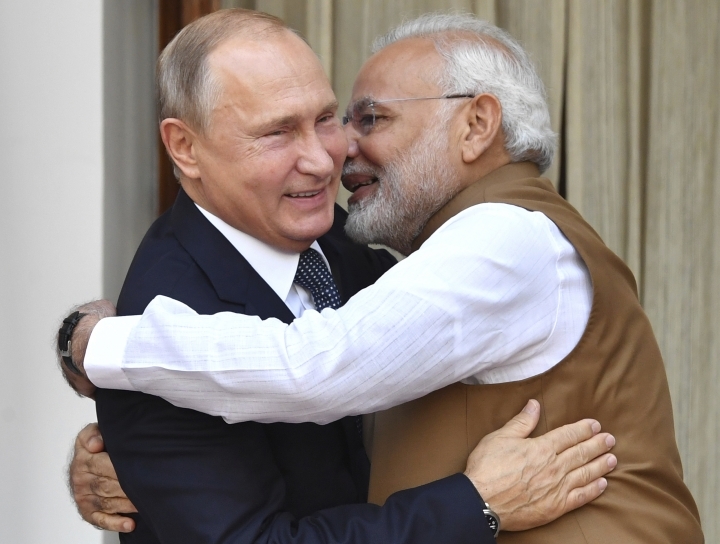 NEW DELHI — India signed a $5 billion deal to buy five Russian S-400 air defense systems on Friday despite a looming threat of U.S. sanctions on countries that trade with Russia's defense and intelligence sectors. India has requested that the U.S. grant it a waiver for the deal from sanctions prescribed by the Countering America's Adversaries Through Sanctions Act, a U.S. law passed in August 2017 that is intended to punish Russia for its annexation of Crimea and alleged interference in the 2016 U.S. elections. The U.S. did not spare China from sanctions last month for purchasing its own Russian S-400 surface-to-air missile systems and fighter jets. 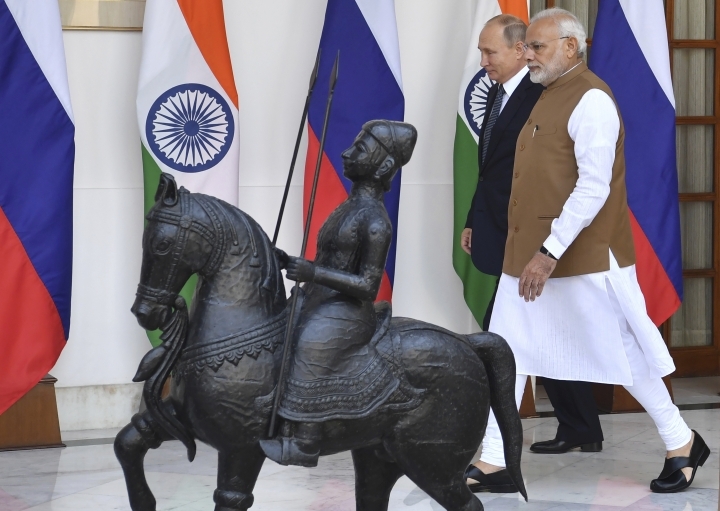 If the U.S. does impose sanctions on India, it is unclear how India could pay Russia for the military equipment, since the law bars dollar-denominated financial transactions. Jinnie Lee, a spokeswoman for the U.S. Embassy in New Delhi, declined to comment on whether India would be granted a waiver, but said in a statement that the sanctions were "not intended to impose damage to the military capabilities of our allies or partners." 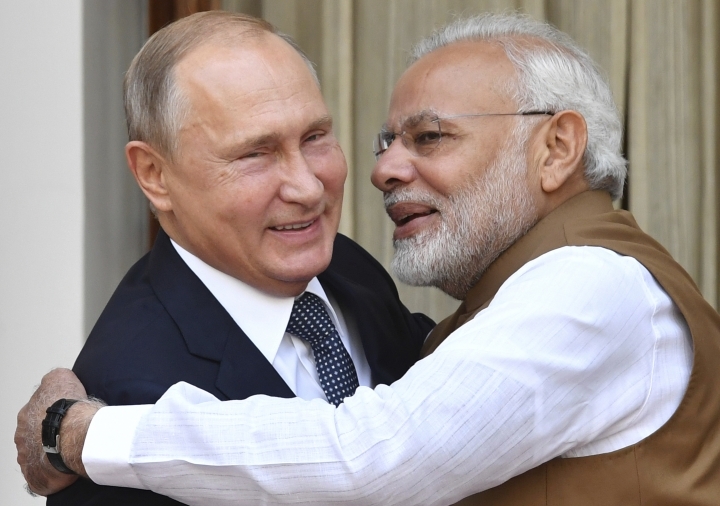 Officials with India's external affairs and defense ministries confirmed the deal was signed after Putin and Modi made no reference to it during a news conference following their talks. An 11-page joint statement made only passing mention, saying that "the two sides welcomed the conclusion of the contract." 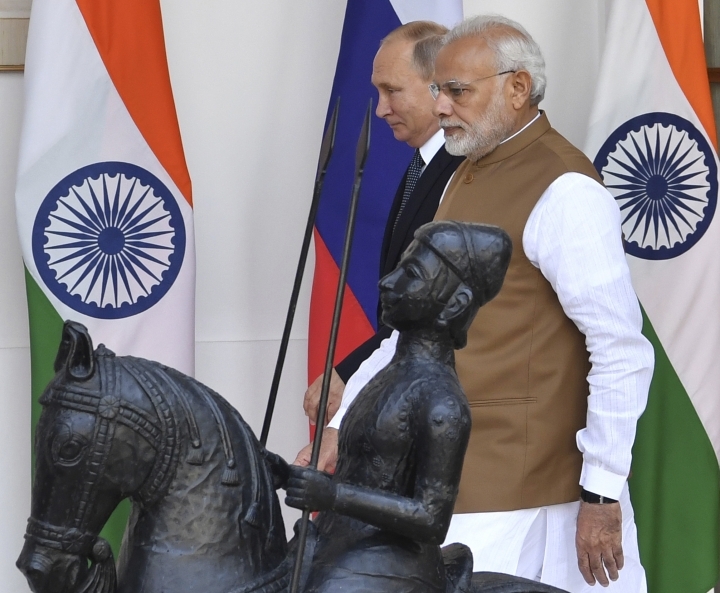 The deal will likely bolster the close relationship between India and Russia that dates back to the Cold War, when the U.S. tilted toward Pakistan, India's neighbor and archrival. But it is also likely to strain ties with Washington. India is the world's largest importer of military hardware, according to Mumbai-based think tank Gateway House, and has depended on Russia for political support as well as billions of dollars in military hardware. Nearly 70 percent of India's present-day defense equipment was procured from Russia, according to India's Defense Ministry. India's acquisition of the S-400 long-range missile systems has been considered critical to countering a perceived threat from China, which is increasingly making economic inroads throughout South Asia, India's traditional sphere of influence, according to military experts. "It gives the capability to destroy targets inside another country. It's a very important capability," said retired Indian air force Air Marshal Nirdosh Tyagi. India has signed more than $15 billion in U.S. defense contracts since 2008, including for C-130J and C-17 transport aircraft, P-8I maritime patrol aircraft, Harpoon missiles and Apache and Chinook helicopters.